Rushed? Relax. Selective Cleaners is also on wheels. 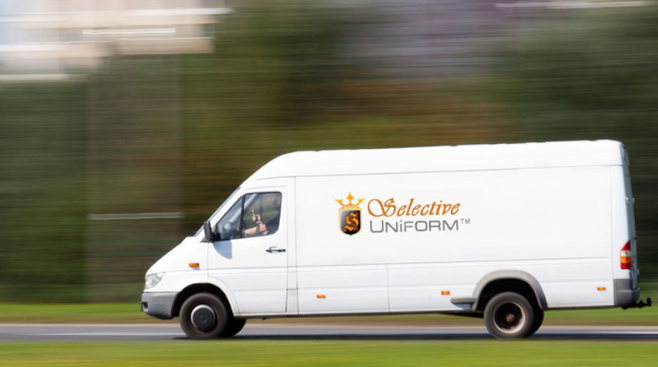 With our free Pick-up and Delivery service, you simply leave your order on your doorstep. We take it from there! We already pick-up your neighbors cleaning, why not yours? Our truck visits your neighborhood twice a week, on specified days, for pick-up and delivery. You receive exactly the same high-quality dry-cleaning that Selective Cleaners delivers in our stores. The same finesse. The same unique services. And the same 100% satisfaction guarantee. All without costing you more than you’d pay in our stores.